An insider’s look at the world’s most prestigious and long-running chess tournament. The World Chess Championship is a tournament among the most elite chess players in the world. It occurs on a roughly biannual schedule, though some variation in this is permitted. Its winner is internationally recognized as the reigning World Chess Champion. Needless to say, it is an extremely prestigious tournament, and the title of champion confers many benefits beyond the sizable amount of prize money that comes with it. A lot of planning and preparation goes into this tournament every other year, both on the part of the competitors and the hosts. Who Hosts the World Chess Championship? 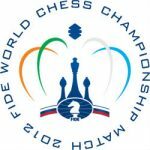 The WCC is organized by the World Chess Federation, also known as FIDE. Each year, a city is chosen to host the tournament. The responsibilities of the host city include securing funding for the tournament, providing an adequate venue for the competition to take place, and providing any other amenities that competitors may require. Recent host cities have included New York City, Mexico City, Chennai, and Sochi. 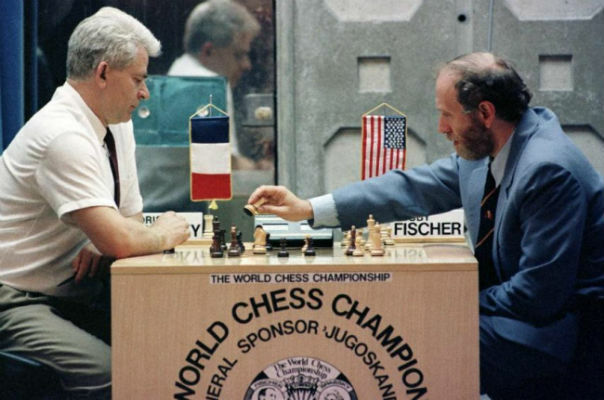 The World Chess Championship has had a number of famous competitors pass through its ranks. The most notable among these include such players as Garry Kasparov, Max Euwe, Boris Spassky, Bobby Fischer, Anatoly Karpov, Viswanathan Anand, and the current World Chess Champion, Magnus Carlsen. 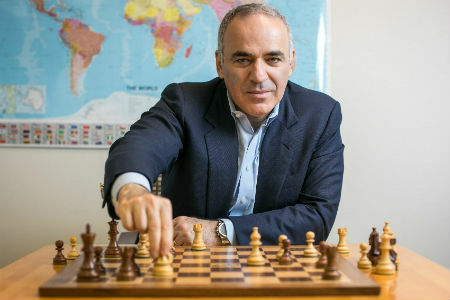 Out of these famous chess masters, Garry Kasparov has spent 8 years total as reigning World Chess Champion after winning a total of 6 title matches with 4 undisputed victories. Anatoly Karpov has spent 10 years as undisputed reigning champion, also with 6 title match victories. Viswanathan Anand has so far accumulated 6 years as reigning champion after winning 5 title match victories. Magnus Carlsen, Boris Spassky, and Bobby Fischer have each spent 3 years as World Chess Championship, though Carlsen is still in his prime and may rack up a few more years yet. As you might imagine, the qualifications you have to meet in order to become a competitor in the World Chess Championship tournament are quite strict. Currently, FIDE runs the tournament on a two year cycle, the first year of which is reserved for the Candidates Tournament. The second year culminates in the official World Chess Championship matches, usually occurring in the final quarter of the year. The Candidates Tournament is actually the final step in a long line of hoops that potential contestants need to jump through in order to gain entry into the official competition. 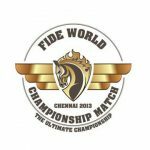 The winner of the Candidates Tournament is the contestant that will challenge the reigning champion in the WCC. The number of contestants in the Candidate’s Tournament varies, though it’s usually between 8 and 15 contestants. Tin the earlier years of the WCC, these contestants are usually pulled from Interzonal Tournaments, which would be a previous tournament with about 20 to 25 contestants that were pulled from Zonal Tournaments, which were even bigger tournaments held on a more local level. So, to eventually wind up in the WCC, you would need to work your way through Zonal Tournaments in your area, then make it through the Interzonal Tournaments, and then perform well at the official Candidate’s tournament. In recent years, this process had become unwieldy, to say the least. The number of possible competitors was so great that it was beginning to overwhelm tournaments at the Zonal and Interzonal levels. So, a new system was put in place in the mid 1990’s. They got rid of the Zonal and Interzonal stages of the qualification process and instead started to pull contestants for the Candidate’s Tournament from the pool of Chess World Cup players. Players qualify for the Chess World Cup through tournaments similar in function to the Zonal tournaments of yesteryear, though some top players are seeded in automatically without having to qualify persay. Then, the winner of the Chess World Cup, and sometimes the runner up if it is a particularly close match, are seeded into the Candidate’s Tournament. This limited advancement greatly streamlines the process from the days when 6 or more players would filter through from the Interzonal Tournament into the Candidate’s Tournament. It’s still quite an arduous process, but it is designed to filter out all but the best chess players. No wonder it often takes two years or more to get this all accomplished! The greatest strength of the World Chess Championship is that it doesn’t hesitate to restructure itself when the time comes to do so. More stubborn organizations have refused to do so and thus been left by the wayside, but the WCC will continue on as long as it maintains the willingness to adapt itself to cultural shifts and technological advancements. 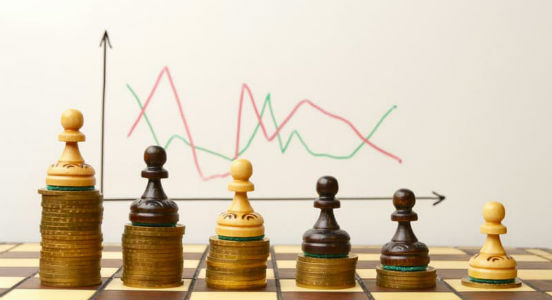 The World Chess Championship gives young players something to look up to and aspire to, and it gives casual players something interesting to spectate. Overall, it offers us a chance to glimpse into the minds of the world’s top chess players and maybe learn a thing or two.